Supreme Judicial Council – Who’s in and who’s out? The Tunisian public has become accustomed to complex legal debates on its screens, with the constitution-writing process introducing us to new legal minutiae we would never have dreamed of being exposed to. However, the recent dispute over the formation of the Supreme Judicial Council has reached a level of complexity and finger-pointing polemics that is truly confusing and lays bare deep tensions within the legal professions. 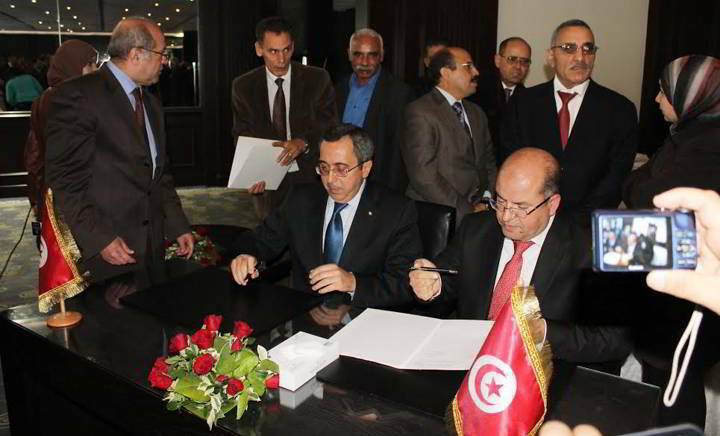 The dispute started when the Ministry of Justice published a draft law at the end of February establishing the Supreme Judicial Council that set out its composition, powers, functions and procedures. The Constitution requires the Council to be established within six months of the date of the legislative elections. The draft law set the composition of the Council as follows: 27 members, of whom 9 would be specialised independent experts from outside the judicial profession, as required by the Constitution. Lawyers were outraged that the draft law failed to give them adequate representation on the Council. They duly declared a “week of protest” and a national strike beginning 9 March to “defend rights and freedoms and preserve the dignity of lawyers”. The Ministry of Justice then backtracked, issuing a second draft of the law that reserves 5 of the 9 independent seats on the Council for lawyers. Judges, in their turn, hit back at the lawyers, accusing them of “politically instrumentalising the crisis”. Court bailiffs, clerks, tax advisors, notaries and judicial assistants complain that they are being excluded, and that the lawyers have taken up too many of the independent seats on the Council. 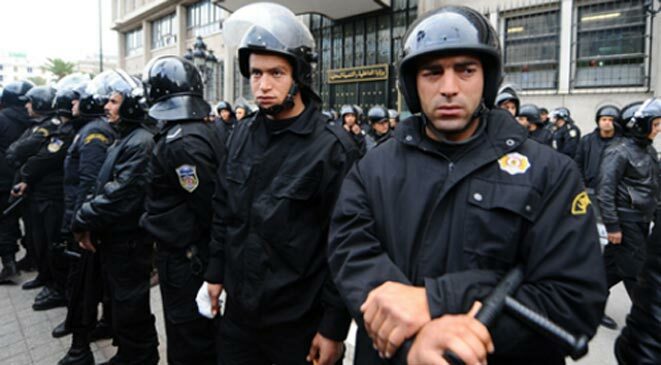 Court bailiffs went on strike and held a protest on 12 March to express their opposition to the draft law. The Association of Public Auditors also joined the protests, arguing that they also formed an “auxiliary” to the legal professions and should not be left out of the Council. Trustees, judicial administrators and judicial experts have also thrown in their lot, arguing that they form a part of the judicial system too. 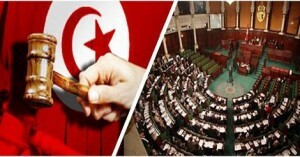 The Tunisian Association of Judges has also criticised the draft law for giving the Prime Minister powers to determine the conditions for nomination to the Council, which it says threatens the independence of the judiciary. Judges went on strike on 12 March, bringing courtrooms across the country to a standstill. The draft law has been presented to the Assembly, whose Legislative Committee began examining it on Monday. The law will need to be discussed by the Committee, amended if necessary and submitted to the plenary for discussion and adoption by 26 April, the deadline set out in the Constitution. The Secretary of State for Security Affairs Rafik Chelly has confirmed that the draft law on the fight against terrorism and money laundering is ready and will be presented to the next Cabinet meeting for adoption. If adopted, it will be referred to the House of People’s Representatives for examination. The new draft is based on the draft that was examined by the National Constituent Assembly shortly before the legislative elections. It has already been criticised by human rights and civil society organisations for violating international human rights standards and introducing overly broad powers. It has also been criticised by security officers’ unions for not granting them broad enough powers. Nidaa Tounes’ internal disagreements have been under the spotlight in recent weeks with the eruption of feuds and acrimonious statements onto national media. While we are all-too-used to long-running political feuds in Tunisia, the ferocity and public nature of these recent episodes have attracted wide media attention. 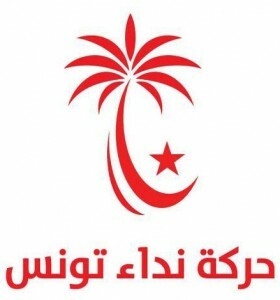 Leading figures in the party have come out with accusations and recriminations against each other on national media, while 80% of Nidaa deputies in the Assembly and more than half of its regional coordinators issued a statement declaring a boycott of the constitutive committee and calling for its dissolution. Opinion pieces in print and online media (such as this blog on Nawaat by Saif Soudani) put the spats down to internal struggles between factions within Nidaa Tounes, made worse by the fact that the party has still not held its party congress, two years after its founding. Soudani writes, “in the absence of democratic internal elections, the sole legitimate body was the constitutive committee. With time, this body has been worn out, and the so-called founding “Cardinals” have been overtaken by the hunger of national party structures”. 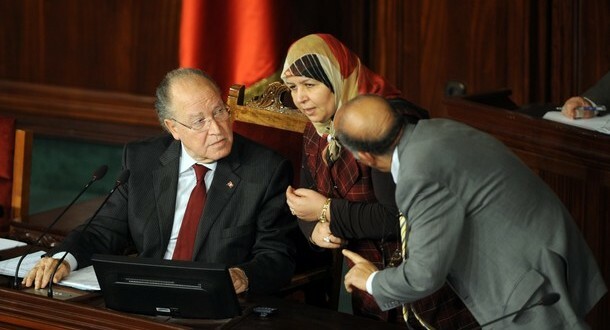 At the centre of the feud lies the struggle for future leadership of the party, prompted by the departure of its leader Caid Essebsi and his entourage of advisers to the Presidential palace, leaving a vast vacuum that various factions are battling to fill. 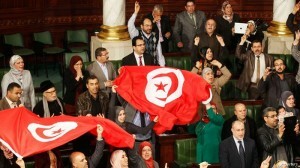 The emergence of the Nidaa parliamentary bloc as a new force demanding its recognition in decision-making structures has also forced the constitutive committee to take action, declaring political bureau elections on 22 March and the party congress to be held by June 2015. All eyes are on these events to see who will wrest control of the party and decide its future direction. The death of the main suspect in the assassinations of politicians Chokri Belaid and Mohamed Brahmi has been prime news on mainstream and social media this week. Ahmed Rouissi, one of the leaders of the North Africa section of the Islamic State organisation, was killed in a battle with the Misrata Brigade in Libya, 70km from Sirte. Rouissi was in charge of training camps, financing, arms and recruitment for the Islamic State organisation, according to Africa Press, Islamic State’s media outlet. 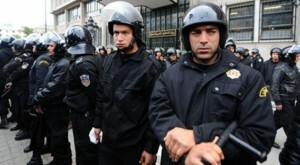 Rouissi was on the list of Tunisia’s most wanted for his leadership role in the Ansar Sharia group and his suspected role in two political assassinations and a series of terrorist attacks in Tunisia. The deepening of the Libyan crisis is heavily affecting Tunisia economically and socially and threatens unrest on the 500km shared border. The escalation of the conflict also risks unleashing further refugee flows to Tunisia, in a replay of the 2011 scenario when between 1 million and 2 million Libyans fled during the uprising. Tunisia is playing a leading role behind the scenes in mediating between the parties in the conflict and has been careful to maintain equal distance from both. The government ruled out military intervention in February and has been pushing for a mediated solution. The arrest of popular comedian Migalo and television host Moez Ben Gharbia has provoked national debate around freedom of expression and media ethics. Migalo, whose real name is Wassim Lahrissi, and television host Moez Ben Gharbia were arrested and charged with an offence against the head of state and fraud. According to Mosaique FM, the private radio station where Migalo works, charges were brought by a businessman who alleged that Migalo had recently pretended to be the president in a telephone call with him. Many allegations have emerged concerning embezzlement and fraud by the journalists and the businessman concerned. 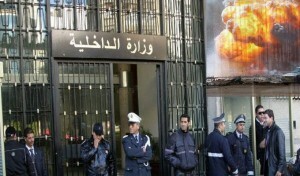 The businessman, Hamadi Touil, has resided abroad since the revolution in 2011 and was named on the list of figures suspected of corruption under the Ben Ali regime. He has now come out to deny pressing any charges against the journalists. As usual in the Tunisian media scene, a thick fog of allegation and counter-allegation hangs over the case. The President has issued a statement to deny any involvement in the case. The journalists remain in custody pending a hearing on 25 March. The American Chamber of Commerce in Tunisia organized a US-Tunisia investment conference on 6 March, to attract investment and re-energise the economy. 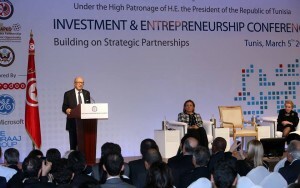 The event, co-organised with Partners for a New Beginning, was opened by Prime Minister Habib Essid with promises of economic reform as well as calls for the long-delayed free trade agreement between the U.S. and Tunisia to be completed. The EU-Tunisian Council for Entrepreneurship, a joint council of Tunisian and European entrepreneurs, also held its meeting last week. The gathering focused on public-private partnerships and the role of private operators in public interest projects. Mr. Yassine Brahim, Minister for Development, Investment and International Co-operation, confirmed that once the law on PPP is passed, the first projects to be carried out under this mechanism will be selected. 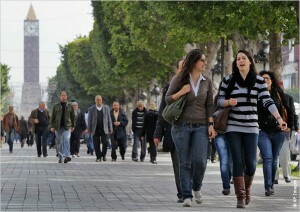 According to Investing in Youth, approximately 40% of Tunisian youth are unemployed, and one in four young people is not in employment, education or training (NEET) –almost double the figure in most OECD countries. Even those who are in work tend to be in vulnerable conditions – one in two who work are in the informal sector with no protection or job security. Of those working formally, half are on a temporary work contract. Unemployment is also extremely unequal – there are significant regional disparities, with the Centre West and South suffering the highest youth unemployment. There is also a big gender gap, with young women much less likely to be employed than young men (13.3% compared to 30.3%). Graduates are also more likely to unemployed than those without university degrees. The OECD recommends a range of policy proposals to remove barriers to youth employment, promote youth entrepreneurship and support to youth from vulnerable families, and promote vocational education as an attractive option. The report also suggests creating job opportunities for young people in the green sector, such as renewable energy, waste and recycling, eco-tourism and exports of organically farmed produce. Monica Marks analyses the impact of Egypt’s coup on Tunisia’s political scene in an opinion piece for the Washington Post, arguing that the coup “offered new justification for Ennahda’s pragmatism, gradualism and support for long-termist compromise”. She examines Tunisia’s experience of consensus-building and the “minimalist” approach adopted by the Ennahdha Party in opting for power-sharing, arguing that this is grounded in “a long series of cross-ideological talks between Tunisian opposition actors in the 2000s” which enabled agreement on “core principles” and codification of “key commitments” by political opposition actors”. Madeleine Albright made an appearance in Tunis last week at the Investment and Entrepreneurship Conference organised by the American Chamber of Commerce in Tunisia and Partners for a New Beginning. Inan opinion piece for Aljazeera, she commends the country’s progress but warns, “in a country where three-quarters of the unemployed are age 15 to 30, promoting economic growth must become a top priority for the new Tunisian government… It must signal that the country is open for business.” She recommends tough economic reforms to “create an environment that is attractive to domestic and foreign companies” including reform of the investment code, banking system and tax and customs structures. The US needs to do more to support Tunisia. This is what Brian Garrett-Glaser at the Council for Foreign Relations argues, highlighting thatwhile the US has launched a number of economic partnership programmes to assist with reforms, Tunisia remains the ninth largest recipient of bilateral aid in the region— the same level as in 2010 before the revolution. Glaser argues that the outcome of Tunisia’s democratic transition “will have a significant impact on regional and global security, U.S.-led efforts to counter violent extremism, and perceived credibility of U.S. actions in the Middle East.” The US’s image in the region has been dented in recent years, with a “sharp decline in confidence that the United States is committed to democracy across the Middle East. Supporting Tunisia’s transition would, he argues, bolster efforts to counter violent extremism, as well as “strengthen voices of a more moderate Islam, build trust with new governments, and rehabilitate the U.S. image in the region”. 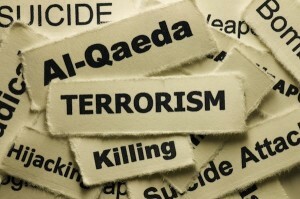 TheMedia Diversity Institute (MDI), as part of its projectResponsible and Free Reporting on Security Issues in Tunisia, has launched its guidelines on reporting of terrorism, security and conflict-related issues. The project, which took place over a year through research and a series of roundtables, aims to encourage an open dialogue between key actors, including the Tunisian media, the government and security services and civil society. The project addresses the new processes and dynamics brought about by political changes after the revolution, which are causing a gradual transformation of the media landscape and reform of the legal framework governing broadcast, print and new journalism. Changes in the security services’ power relations and in public expectations are also creating pressure for reform in the legal framework, including access to information and greater accountability. Government are also part of this change, as highlighted by a Tunisian Ministry of Defence official at one of the roundtables events: ‘For many years, I didn’t have to speak to the media. Now I do.’ The project calls for a new approach to ensure that both the security services and the media provide adequate and responsible reporting on security issues, while striking a balance between media freedoms, the security services’ need for secrecy, and the need to inform the Tunisian public. 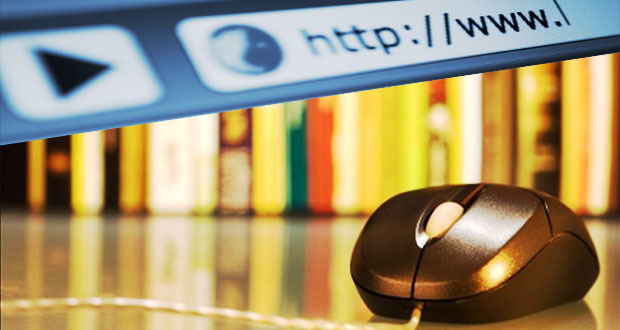 Draft Law on Access to Information – An Information Revolution or a Faltering Step in the Right Direction?